Are you traveling to Indonesia and are you going to explore the island Java? 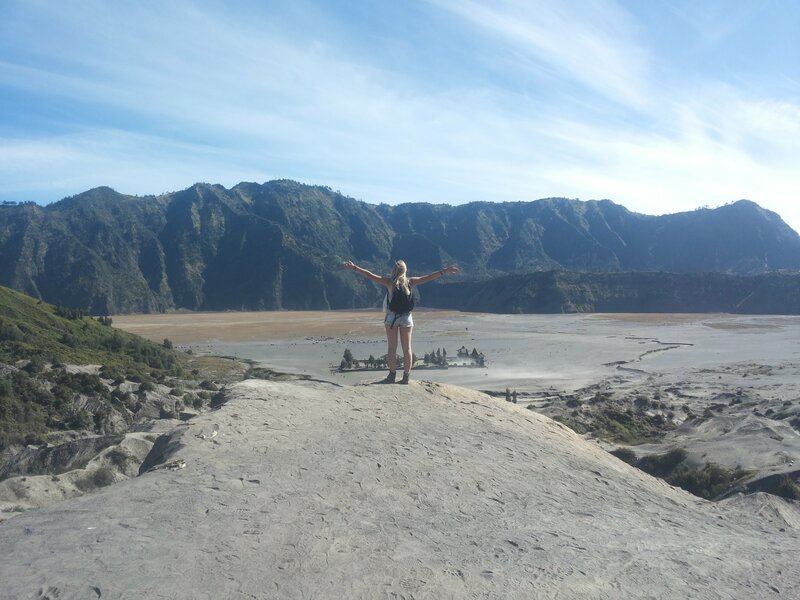 Then you have to go to the Bromo volcano, which is one of the most famous volcano’s of the country. You’ll have to get up at 2am, but it’s totally worth it. Let me tell you why. 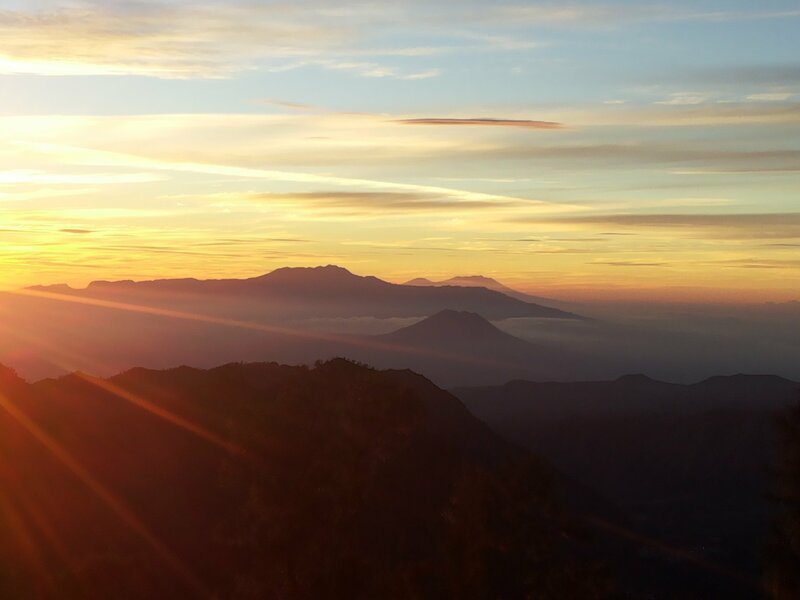 Yes, you have to sacrifice a few hours of sleep to see the sunrise at the volcano, but you’ll forget about the lack of sleep as soon as you step into the jeep which will bring you to the Bromo. You’ll probably stay in Malang, like I did and many other tourists, so you have to drive a few hours first before you arrive at the destination. But that’s okay. During the ride I passed by some night markets and at the end of the ride we were driving through the mountains, so it’s not a boring ride at all. 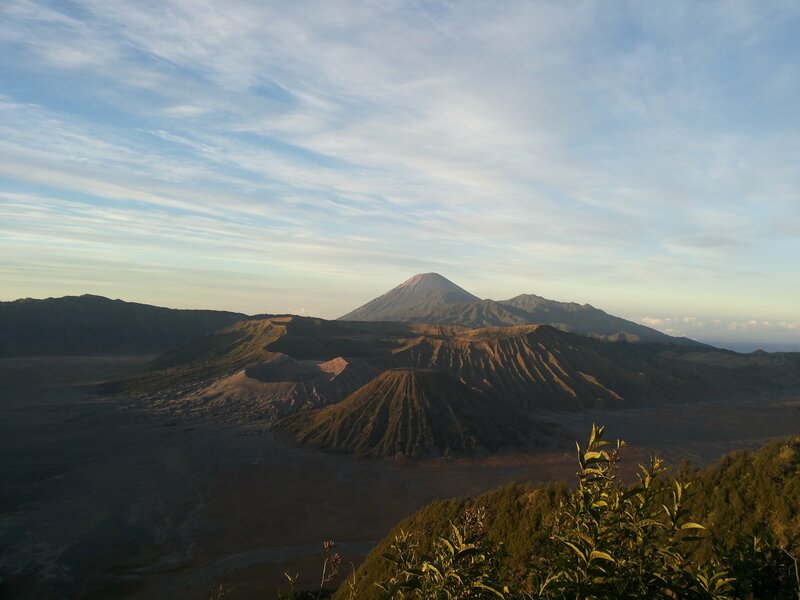 When you finally reach the Bromo it’s time to find a nice spot where you can watch the sunrise. There’s a big platform where almost every tourist is going to, but you can also find another spot where no one else is. Just be on time, because this is one of the most popular excursions you can do in Indonesia. And of course you want the best spot possible. When you finally found that spot, it’s time to get started! After you’ve seen one of the most beautiful sunrises you’ll ever see in your life, it’s time to get up the volcano. The jeep will bring you to a sandy area right under it. You can just walk or you can go up by horse, but please don’t do this. The horses look a bit sad and they can’t bring you that far, you have to walk the hardest part anyway. The first part of the walk is very easy, but then you have to walk up a crazy stairway to the top of the volcano. You’ll definitely be out of breath, but when you reach the top all those steps are totally worth it. 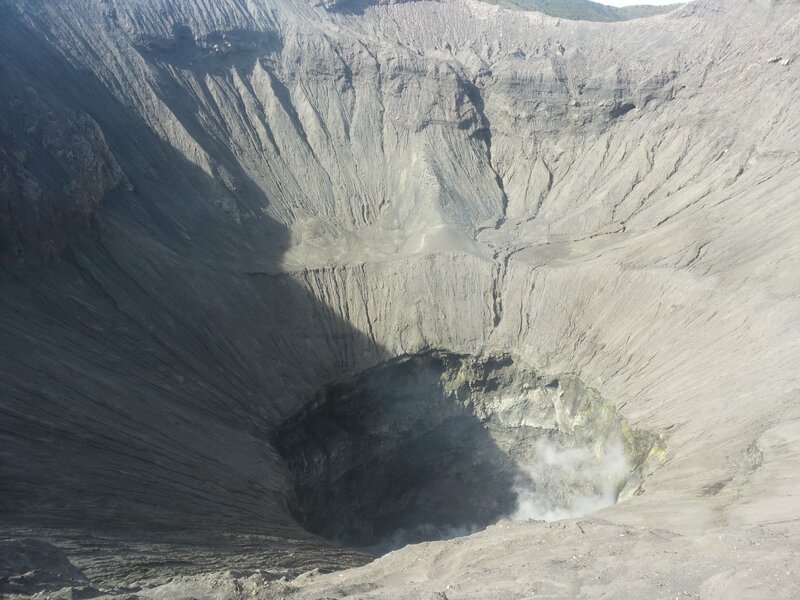 Now you’re standing on the edge of the vulcano and you can look right into the crater. If you’re lucky the vulcano is a bit active so a lot of smoke is coming out of the crater, which is cool to see. When it’s really active you even have to wear a face mask. Are you afraid of heights? No worries: there are fences so you can lean against them. But if you love a bit of adventure, then walk to the area where are no fences at all. You’re now literally living on the edge. How cool is that? 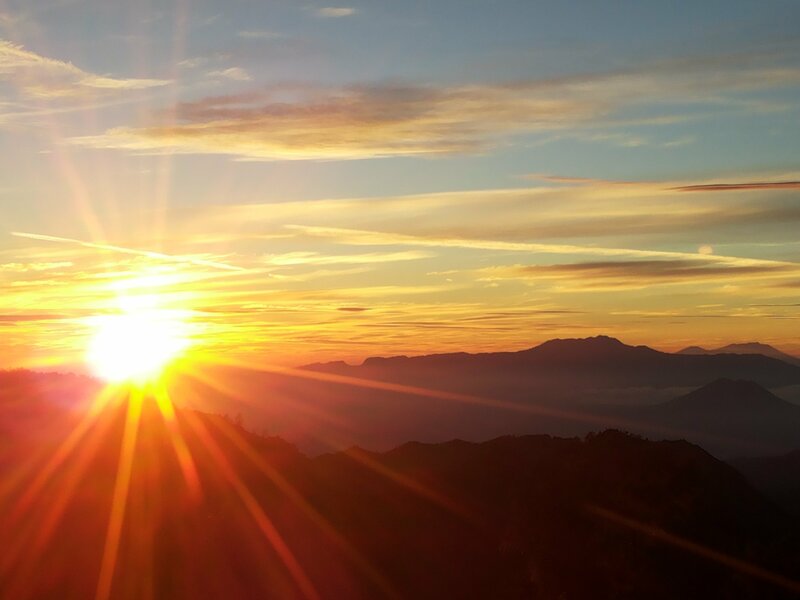 So if you’re planning on going to Indonesia and Java in particular, go and see the sunrise at Mount Bromo and walk up the volcano. It’s awesome!